It’s almost time to welcome the New Year… Before we know it we’ll be celebrating New Year’s Eve with family and friends, reviewing all the things that we learned and experienced and feeling excited to start January with new resolutions and dreams! 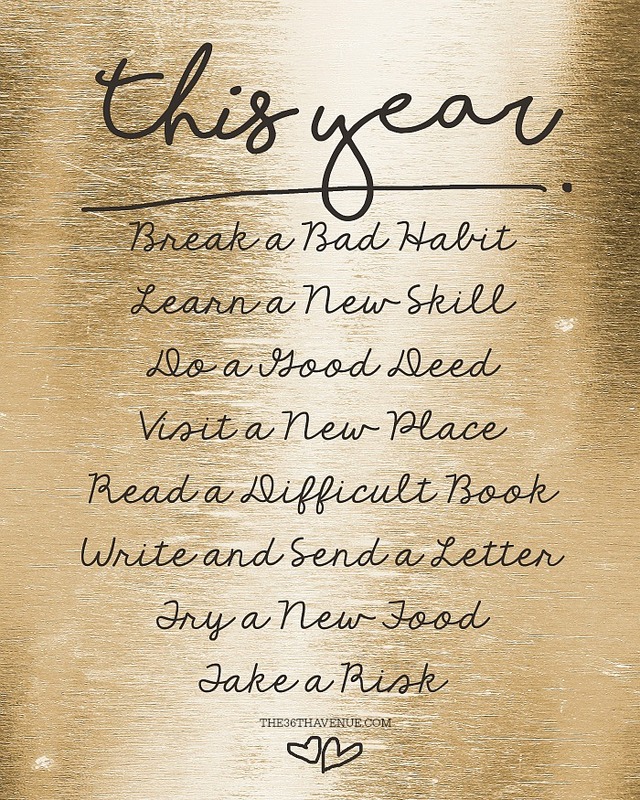 Today I’m sharing a Free Printable with 8 Simple New Year Resolutions that I personally am looking forward to check out during the next 12 months! Feel free to print it and share it with your family and friends! Set of 4 New Year Resolution Tags Here are some other New Year Printables and Ideas that I love!Happy New Year Bottle Wrapper and Printable – Click HERE 25 Sparkling Ideas – Click HERE Easy Hair Up-Dos – Click HERE Thank you so much for stopping by and have a very Happy New Year!